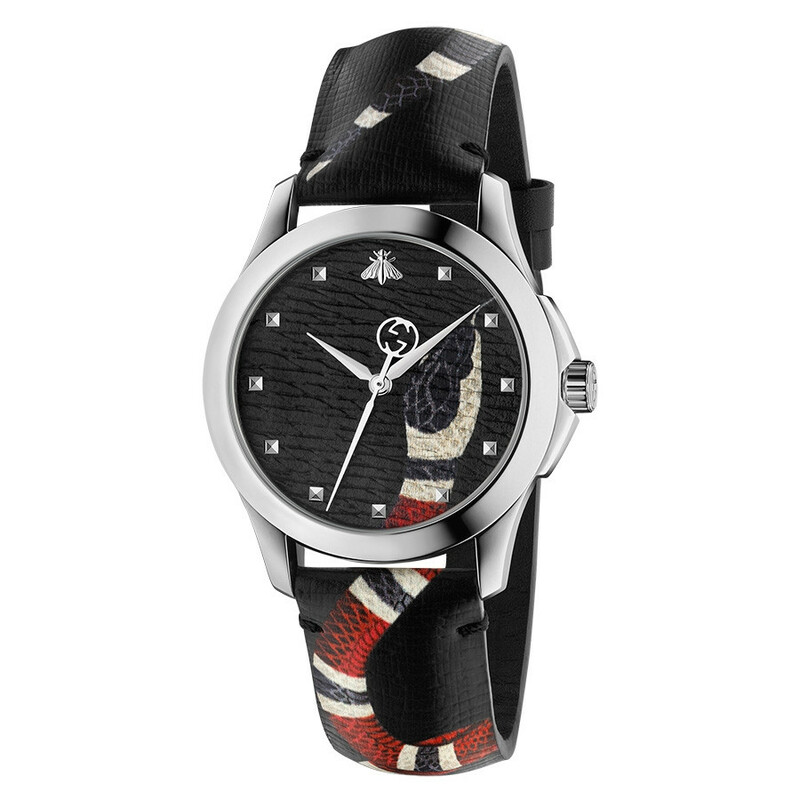 The king snake print on this black Gucci watch adds instant edge to the leather strap, continuing onto the face of the watch. The iconic Gucci bee sits at the 12 o’clock hour marker, with the GG rotating below along with each second that passes. 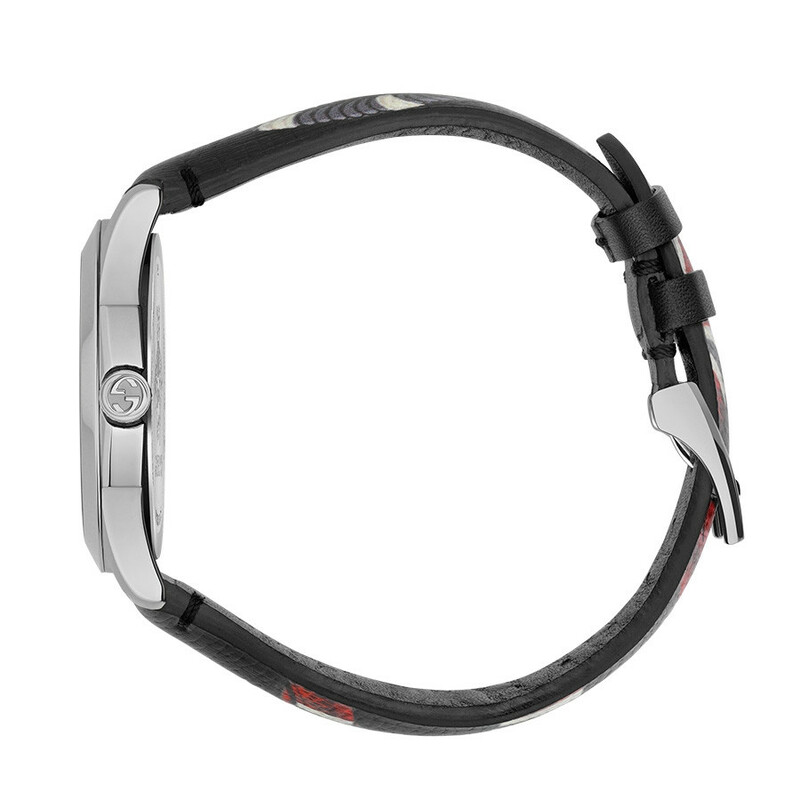 This casual Gucci watch has a playful feel on an otherwise classic design. Adjustable Band 5.9" - 7.56"